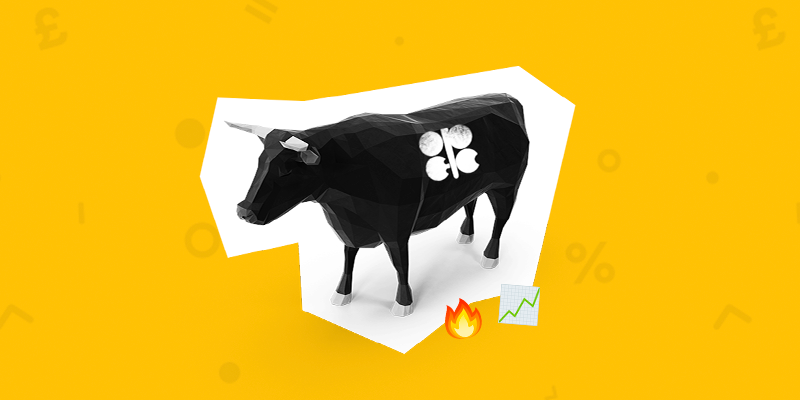 It seems nothing can stop the oil bull market as tight supply continues to drive prices higher towards crude’s longest weekly winning streak since August 2016. Torro Torro! Crude oil prices have rallied 40% since the start of 2019, aided by OPEC’s supply-curbing efforts and sanctions placed on Venezuela and Iran. The latest driver of prices, however, is escalating tensions in Libya which show no signs of easing up just yet. After six days of vicious in-fighting Libyan Warlord, Khalifa Haftar, has allegedly moved his forces towards Tripoli where he was supposed to be preparing for an international peace summit to end eight years of conflict. More fighting will undoubtedly affect the supply-line of oil coming out to Libya and contribute to more upside pressure on oil prices. However, recent comments from Russia and Saudi Arabia suggest they may hold off on further output cuts until conditions stabilise. Brent crude is up 3.09% this week, and has managed to hold its gains above the $70 level without too much trouble as the bulls now eye up the $72 mark. Going forward, global growth concerns and the softer stance from OPEC members on supply tightening could put a slight dampener on the epic bull run. But for now the bulls are in the driver’s seat.